Only non-technical questions are considered here. Check the documentation for technical information. Q1. How do I cite goChem? A1. There is no publication for goChem yet. If you use the library, please support it by citing: R. Mera-Adasme, V. Jimenez, G. Savasci and J. Pesonen, "goChem, a library for computational chemistry", http://www.gochem.org. A2. Yes. goChem is free and open source software licensed under the GNU Lesser General Public License. All the source code can be downloaded from Github and redistributed under the terms of that license. 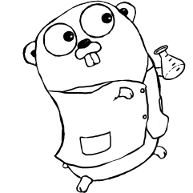 All the libraries that the core goChem or it extensions depend on are also free and open-source. Notice that not all the programs with which goChem interact are free or open-source. These programs have to be otained from their respective owners or official distributors. (see the Links page). Q3. What if I want to use code from goChem for a project licensed under a BSD or similar permisive license? A3. Contact the developer. It will most likely be possible to arrange. Send us an e-mail if you have more questions.